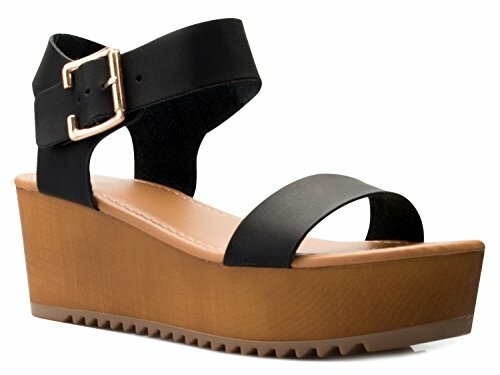 These sandals have a vegan leather upper and a platform to add a touch of height and style to your everyday look. A must-have in every girl's closet! Front Platform approx. 1.50", Heel Platform 2.5"
These gorgeous platform sneakers offer balance and stability for all day walking comfort and support on the heel. Select the color to match your personal style and outfits. A must for your wardrobe! Cushioned insole for comfort and support. A sturdy rubber outsole ensures comfort through prolonged wear. A nice boosted platform adds height and lengthens your legs. Eco-friendly and in control. Stay true to your fashion and environmental principles with this earth conscious product.